Because the theoretical predictions for star formation in science do not match what is actually observed, scientist have lately begun to consider the possibility that electromagnetism plays a roll in the process. The Scientific Journal Nature (538,8), published an article : ” Astronomy: Magnetism drives star birth”. In this article, Nature refers to an article from Astronomy & Astrophysics (593,L14, 2016), where a team of scientists made observations of a large gas cloud with the Atacama Large Millimeter/sub-millimeter Array (ALMA) telescope in northern Chile. They observed that the gas of a stellar system collapsed and fragmented, . . . forming a string of clumps. The clumps will eventually form the cores of future stars. From these observations, they ran numerical simulations to match the observations, and they discovered that these formations can be modeled, using strong magnetic fields. The study findings confirm theoretical predictions that magnetic fields play a major part in protostars formation. A theory in modern cosmology is suggesting that the Big Bang may not be the beginning of the universe. The Big Bounce Theory propounded by a number of physicists state that prior to the Big Bang the universe underwent contraction due to pressure until it reached a point that it expanded again. They say that the universe may have been undergoing continuous contraction and expansion. Paul J. Steinhardt of Princeton University, one of the proponents of the Cyclic Theory, says that this theory attempts to resolve the “homogeneity, isotropy, and flatness of the universe,” among other things observed. 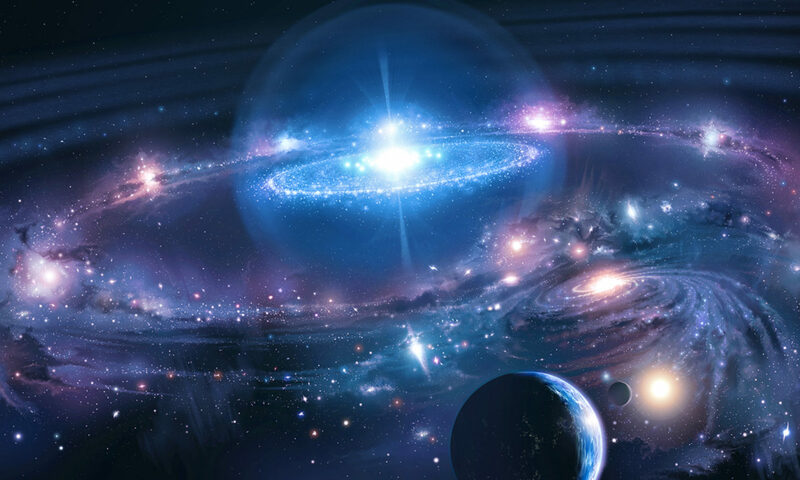 This view is similar to the Hindu view about the periodic manifestation and dissolution (manvantara and pralaya) of the universe, a view also adopted by the Secret Doctrine of H. P. Blavatsky.